Patience. So important, and yet so difficult to practice. Demonstrating patience in situations where we have limited understanding can be nearly impossible. As parents and teachers, we are often called upon to show patience and understanding towards the children under our care. This is especially true when they are struggling with something that we’re not familiar with or don’t understand well. Children with dyslexia often fall into this category. Even parents and teachers who have a basic comprehension of dyslexia and some of the challenges that go with it, can at times miss the boat in showing understanding and patience. This is especially true when certain behaviors fall outside of our expected construct. There can even be a lack of understanding between one dyslexic and another. One reason for this is that not all of us dyslexics are alike. Although we share certain traits in common, there is a wide range of complications that can vary significantly from one dyslexic to another. The severity of the dyslexic symptoms can vary widely too. We don’t all fit in the same mold. One dyslexic may struggle in a particular area that might not be as much of a problem for another dyslexic and vice versa. We may not always have understanding, or a working grasp of the finer points and implications of the situation, but we can strive to show patience and kindness. We thereby create the environment and the space to work towards gaining better understanding. Unfortunately we often fall short of this ideal, maybe reacting with frustration, disappointment, or even anger when our kids fail to perform up to our expectations. There was one event from my childhood that illustrates the toxicity of the latter reaction very well, and it left an indelible impression on me. Grade school in general was a very stressful time for me—not just because of my difficulty with reading. 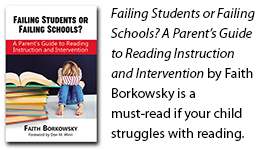 My challenges encompassed the entire gamut of dyslexia-related difficulties—i.e. sequencing, spatial/temporal (directions), motor control (handwriting), listening (note taking), organizational, and so on. My first grade teacher, Mrs. Carson, was always very kind and patient with me, but the same can’t be said for all of my other teachers. My grade school gym teacher comes to mind. I believe we were preparing for some kind of class performance, which is all I can remember about it, where he (the gym teacher) had all of us kids stand in a circle, hold the edge of a parachute and do a synchronized dance. He would have us go in various directions, including having the parachute go up and down in the air, all to the 1967 song “Up, Up, and Away” by the 5th Dimension. Because of my ineptitude with directions I could not respond quickly when he would say, “Go to the right or to the left.” I would have to think about it to get my bearings. I was obviously a fly in his ointment—he looked at me as though I was willfully not paying attention and goofing off. He became angry with me, verbally at first. But then when I still was not responding quickly to his angry directions he would kick me repeatedly on the backside to get my attention, kicking to the right or left as the direction of the dance changed. Although I didn’t show it at the time, I was extremely humiliated. I seethed with anger. Though it may not have seemed so, I was doing my very best, and being humiliated for it. Even after decades have passed, this memory is still very vivid. I can’t recall it without feeling the same anger I felt as a child. This may sound terrible to say but if my adult self were there with my younger self, I may have given that gym teacher a kick in his own backside. Even the song “Up, Up, and Away” is repellent to me because it is forever connected with that memory. That gym teacher not only understood nothing about dyslexia, but he also failed to recognize that it’s entirely possible for a child to be doing his or her very best and still not perform to expectation. He made an instant judgement that my lack of skill resulted from an attitude problem—i.e., my character. There’s a big difference between character and genetics, chemistry, and learning challenges. Any and all of these things can (and do) influence behavior, but it’s our response to these different influences that will help or hinder a child from making progress. We can learn to recognize which factors are at play and respond effectively and patiently. When our child or student is not performing as desired, staying on task, or “getting the point,” do we keep teaching and interacting the same way, perhaps more loudly or with evident frustration, while expecting a different outcome? To do so is pointless and harmful. A better choice? Take a breath. Calm down. Your child is likely not being willfully obstreperous, but rather is not able to process the information in the way it was conveyed. Take a break. If you are frustrated, likely the child is as well. Have a snack, take a few minutes to dance to some fun music or even do some jumping jacks. Spend a few minutes talking about something pleasant, ideally something you recall your child doing that you were particularly proud of, or something fun you did together. Don’t rush. For many kids with learning challenges, including dyslexia, extra time is needed to process information and perform required tasks. Give complex instructions a step or two at a time. Keep your perspective. Remember that you and your child are making a memory together. What do you want them to remember most? Balance is key. Parenting and teaching involves striking a balance between accepting children for who they are and helping them become their best selves. For in-depth consideration of this topic, please refer to Far From the Tree by Andrew Solomon, the most erudite dyslexic I’ve ever had the pleasure of reading. Well said, Penny. So often members of the same family will have different types or degrees of dyslexic challenges, and that makes understanding and patience a particular challenge. Hi Jodie. Thanks so much for reading and commenting. I appreciate you sharing your story. I’d like you to think about this, please: When someone gets labeled as ‘the worst ever’, etc., that label can become part of your identity. Sometimes labelling can be a good thing, as when we discover our dyslexia, because then we can deal with it and learn coping skills. But continuing to think of yourself (or now, one of your children) as ‘the worst’ can create a sense of hopelessness or even defeat. We then feel like a victim. That’s not a sustainable way to approach life…..
Here’s the thing: when we make the choice each day to get up, suit up, and show up, we are NOT defeated or hopeless. We are actively meeting our challenges, accepting that although life is not fair, we can do our best with the gifts we have been given. So I suggest that you use that label the Dyslexia Institute gave you as a springboard to recognizing how very far you have come as a reader, writer, communicator, and person. Your lovely children couldn’t have a better mother, for you will understand and show compassion for their struggles. They can look to your example and know they too can succeed.